In a small saucepan, combine the vinegar, salt and sugar with 1/2 cup of water and simmer over moderate heat until the sugar dissolves. Put the shallots in a small bowl or pint-size jar and pour the vinegar mixture on top. Cover and refrigerate for at least 4 hours before using. 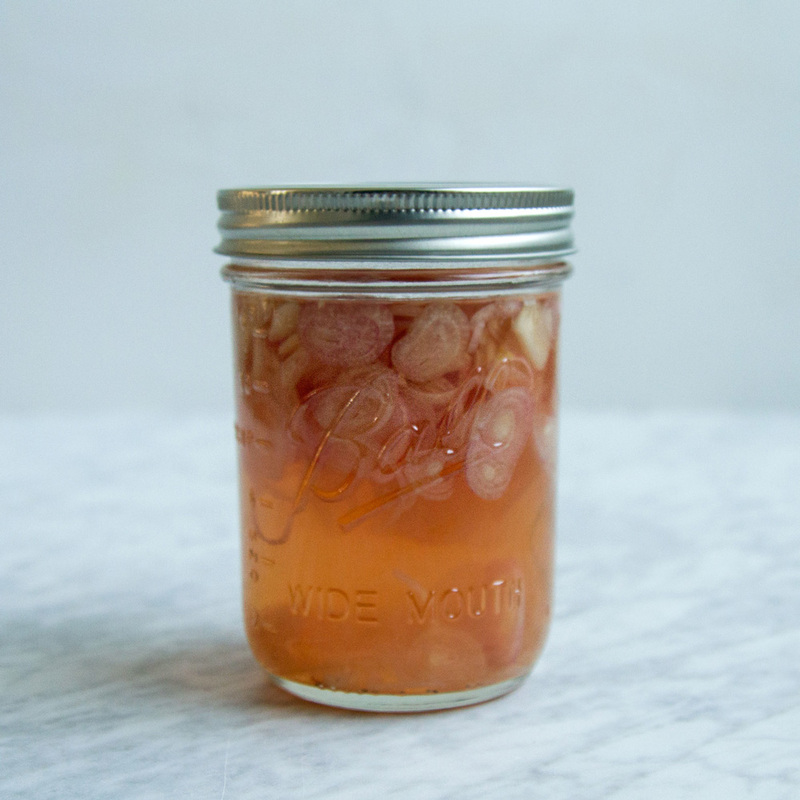 The shallots can be refrigerated in the pickling liquid for up to 2 weeks.